You have Samba shares in your local network that you used to have access to, or have other devices on that network that can access those shares. Resolution: This took me a few months to resolve, primarily because I just don’t have time to troubleshoot my own personal network/PC issues. But it sure is a wonderful feeling when you find the solution needed after so long! Credit goes to the Synology forum user mtjerneld, who responeded with a working solution. 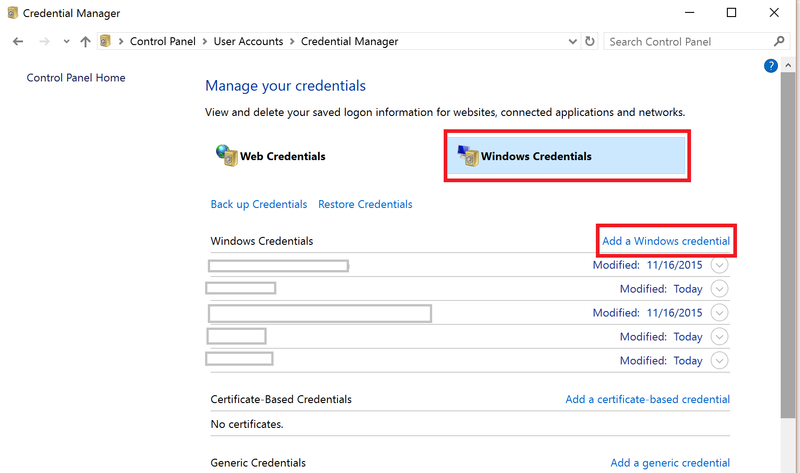 On your Windows 10 device, go to Start > and search for Credential Manager. Now, in my case, in Network from the Windows Explorer window, I was not able to see my samba shares. However, if I type in \\samba-share (in this example), I am able to see my files as expected. You can also use the Run command (Windows - R) and type in the samba share path to view your share.